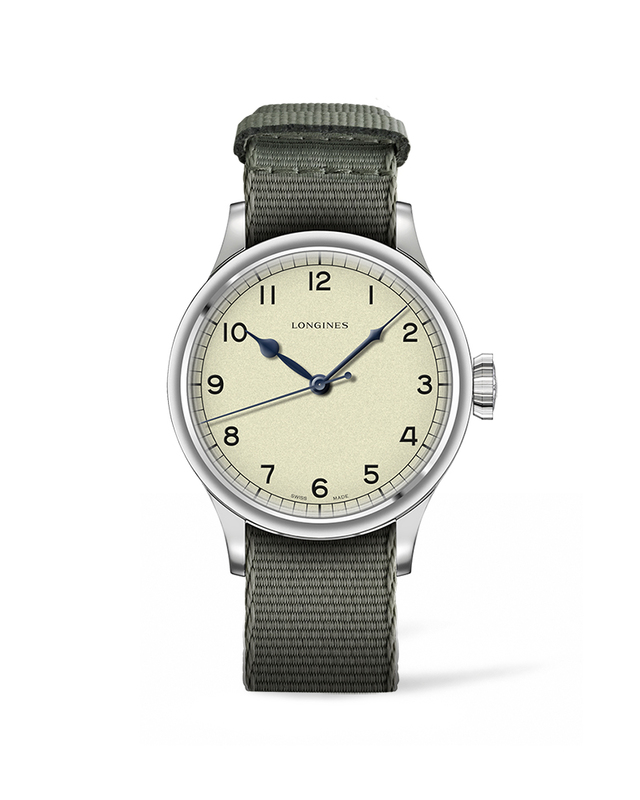 LONGINES actually unveiled this timepiece — the aptly, unambiguously named Heritage Military — in Baselworld. That’s Baselworld this year, not during any precursor of the Swiss show in the middle of the last century. A closer inspection of this watch only muddles up perceptions further. That’s because its beige-y, faintly yellowish dial is speckled with random spots usually associated with the passage of time, the pattern (if any can be discerned at all) painted by hand and unique to each watch. And yet, and yet, the Heritage Military is a fresh 2018 release. And what a recreation it is. 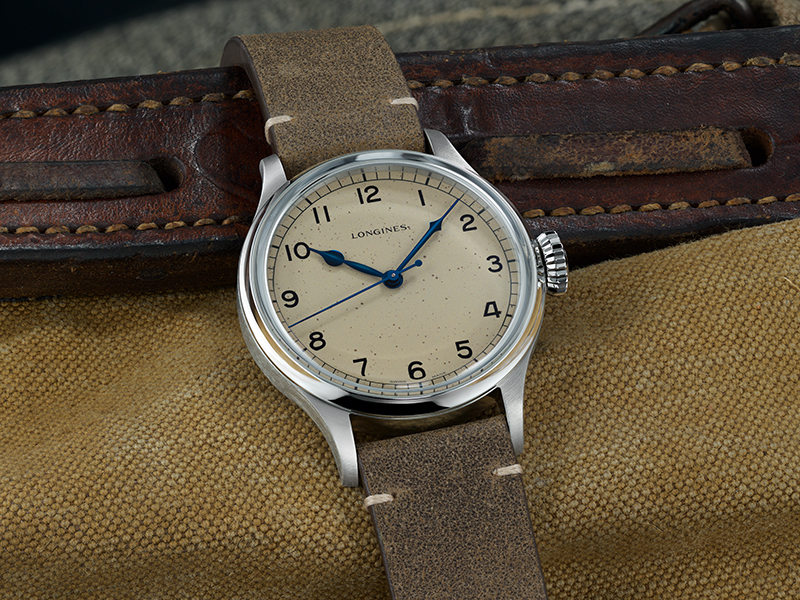 Besides its mottled, imperfect dial, the Heritage Military wears more period-correct styling cues like a railroad minute track, ornate blue hands, a domed glass (although made from modern sapphire crystal), and a greenish/grayish aged leather or Nato strap. The font used for the Arabic numeral markers are typical of the era. 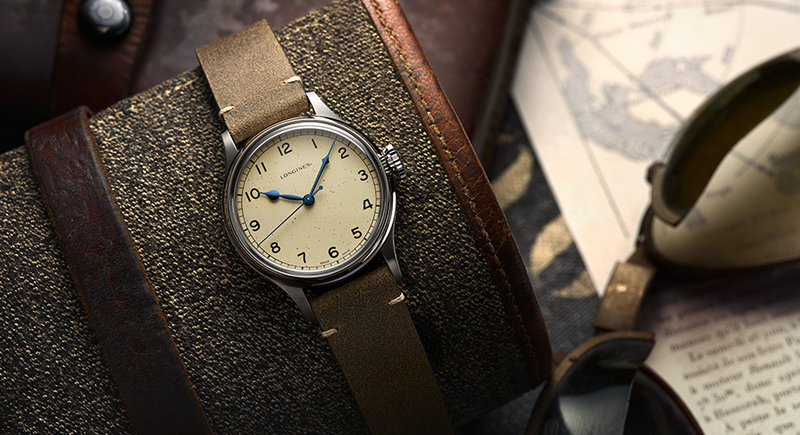 The contours and beveling of the steel case and sharp-edge lugs look utilitarian, recalling the time when watches were actually regarded as tools. And though the case has swelled to 38.5 millimeters from the wartime piece’s 32.5 millimeters, it remains far from being offensive or, at the least, comical. Because, when one thinks about it, 38.5 millimeters is actually a reasonable size, which can’t always be said of 32.5 millimeters. Taking into account legibility alone should tip the argument in favor of the bigger size. 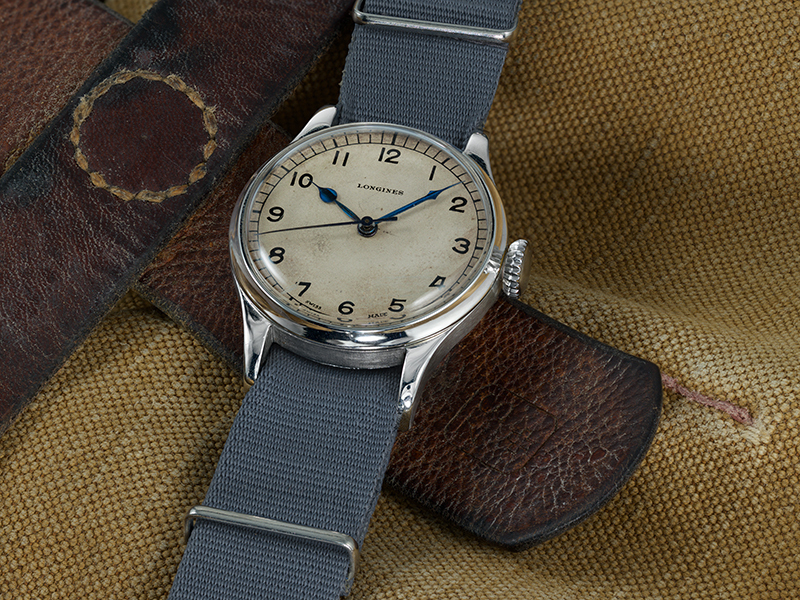 Besides, Longines deftly did a proper scale-up job; it also enlarged the winding crown of the Heritage Military to mimic the oversized one attached to the RAF watch. The proportion of the re-imagined piece, therefore, is bang-on correct. 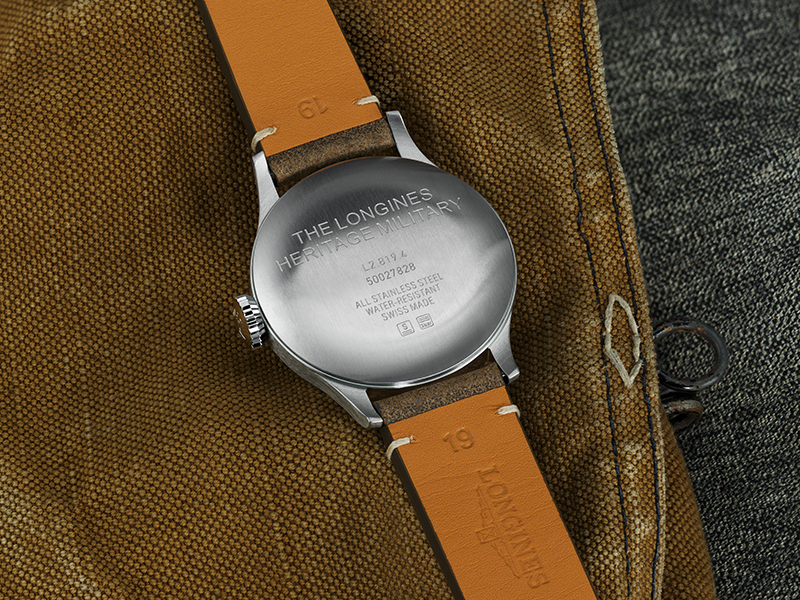 Further proof Longines was paying attention to details? 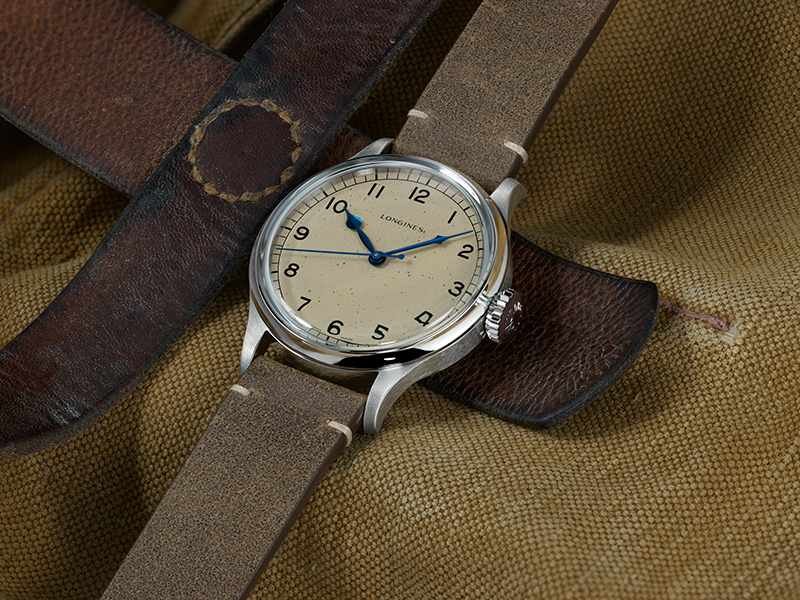 The Heritage Military is the sole piece among the brand’s current collections which isn’t stamped with an “Automatic” marking. 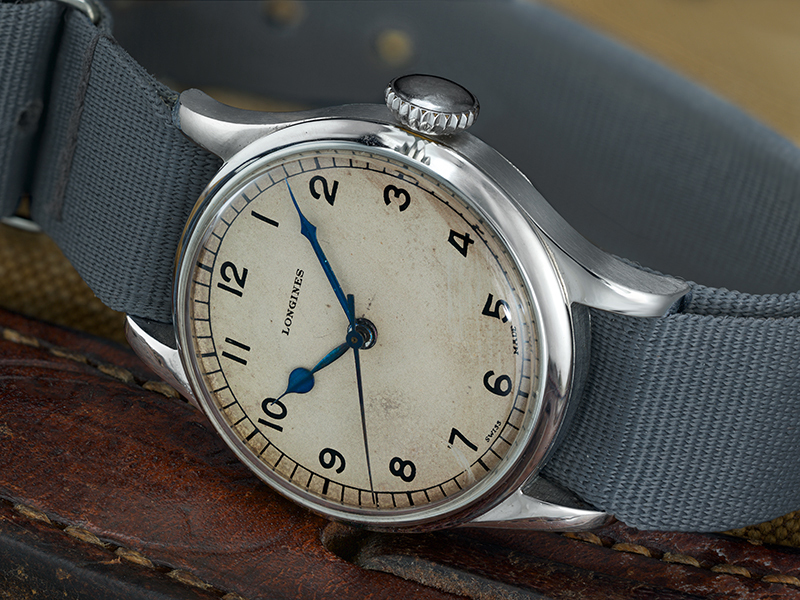 And this isn’t because it isn’t one; Longines deliberately skipped the label because it felt doing so would have sullied the watch’s decidedly vintage vibe. Which is only logical; the watchmaker had, after all, already gone through the trouble of hand-painting spots on the dial. 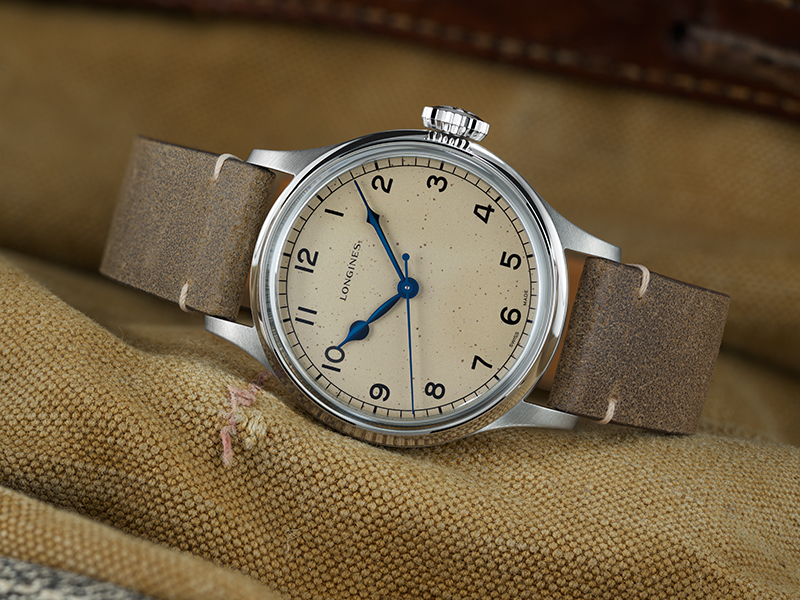 Now, speaking of movements, that ticking within the Heritage Military is Longines’ self-winding calibre L888.2, which had started out in life as an ETA A31.L01. This means there is nothing fancy with this 25-jewel, 25,200-vph engine which boasts a power reserve of 64 hours. Conversely, there is also nothing much that can go wrong with this proven movement. And so, more likely than not, the watch will live long enough for it to actually acquire the imperfections that come with the passage of time. 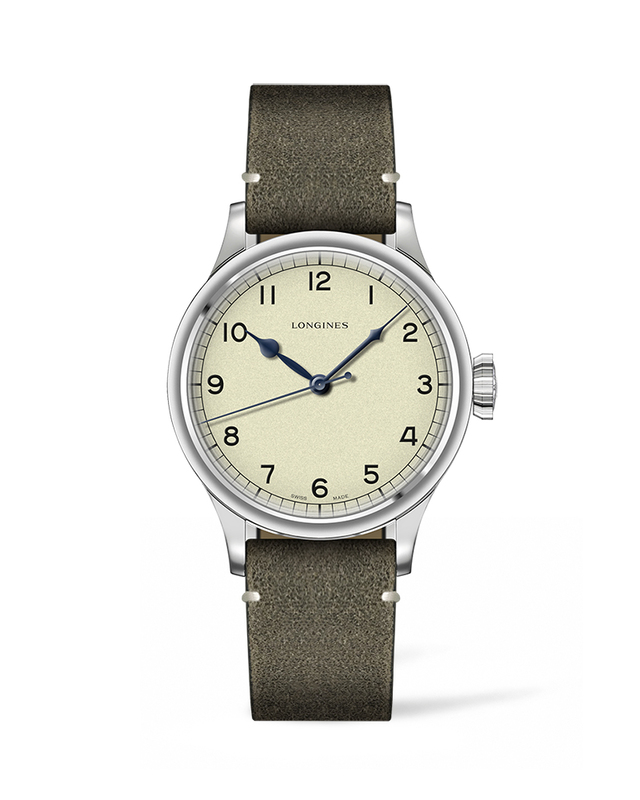 Say what you will about “fauxtina.” Longines did an excellent job with this one.